Faced with rising public outrage over Congress’ decision to repeal Obama-era rules that would prevent internet service providers from selling customers’ personal web browsing data without their knowledge or consent, several major ISPs have released statements saying they don’t and don’t plan to do that. All of the letters are pretty much the same. Let’s take a look at the biggest thing all three of these statements have in common. We do not sell our broadband customers’ individual web browsing history. We did not do it before the FCC’s rules were adopted, and we have no plans to do so. We have two programs that use web browsing data — and neither of these programs involves selling customers’ personal web browsing history. AT&T’s privacy protections are the same today as they were five months ago when the FCC rules were adopted. Got that? All of these companies say that nothing has changed—they don’t sell users’ personal web browsing history and don’t plan to do so in the future. But the “personal” caveat is where they are misleading customers. Big collections of aggregate and/or “de-identified” data will certainly be sold to the highest bidder for targeting advertising and who knows what else. Just because it doesn’t have your name on it, doesn’t mean it’s not your personal data. This was the crux of the problem that ISPs had with the FCC rules. Web browsing and app usage would have been part of the defined sensitive data—data that would require users to opt-in before it can be sold. Assuming Trump signs the repeal, which he is expected to do, ISPs won’t necessarily be required to give consumers an opt-in option on web browsing and app usage data. The fact is that these companies say they want to create more “competition” in the data services business that Facebook and Google are leading. They will be uniquely qualified to dominate that business and since they essentially run monopolies, their core business remains safe. Over half of Americans have only one choice of service provider or none at all. This is part of the argument that ISPs should be treated as a utility. With a social media company, users pay for the service with their data. In return, they get to yell at their friends about politics and post selfies. 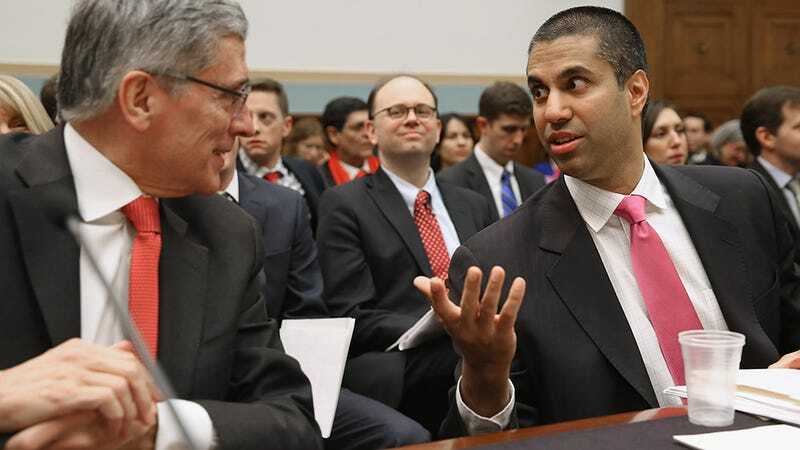 With lighter regulation, service providers are expected to charge you for your access to the internet, then sell your data without giving you anything in return. How is this possibly creating more competition that benefits the consumer?